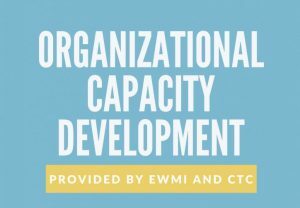 One of the ACCESS tools to increase citizen engagement with Civil Society Organizations (CSOs) initiatives is the Citizen Outreach Grant (COG) program. The COG program helps Tbilisi-based and regional CSOs to increase civic engagement on a broad range of topics in the regions of Georgia. COGs aim to bring CSOs and the constituents they serve closer together in addressing priority community issues. The grant projects under COGs might include awareness raising, advocacy campaigns, citizen mobilization efforts that bring public concerns to decision makers and promote changes that resolve community issues. Project topics should be of priority interest to local communities and provide opportunities for citizens to take action to address these local issues. Projects should engage as many citizens as possible through activities like petitions, community actions, community meetings, volunteer recruitment initiatives, media events, meetings with local and central government officials, and other relevant actions. 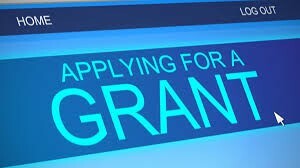 Every year ACCESS announces two open and one closed (limited) Requests for Applications (RfA) under the Citizen Outreach Grants program. 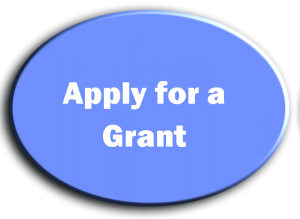 The maximum grant award for each proposal is $15,000 USD. Every operational year ACCESS awards around 8-11 COGs. At least 8 projects are awarded through the open competition. In collaboration with the CiDA and Regional Civil Society Network (R-CSN) ACCESS organizes annual CSO Fairs in Tbilisi and regions of Georgia. The Fairs serve to galvanize interaction among regional and Tbilisi-based CSOs, as well as between CSOs and citizens, the private sector, public institutions, and media. Various activities are part of CSO Fairs, including but not limited to: a) Forum for national CSOs, networks, and coalitions to present and discuss their work with local citizens and CSOs. Forums also to assist CSOs in identifying citizens and other CSOs in each region who are active players or interested in becoming engaged in the issues of their interest. b) multi-sectoral roundtables to link active local CSO, government, and private sector stakeholders to regional and national priorities; c) informal visits in regons and holding informal discussions in people’s yards about CSO work and how citizens can engage with CSOs. etc. ACCESS organizes public events throughout Georgia to share effective CSO strategies and tactics, discuss solutions to civil society sector challenges in Georgia, and identify best practices for advancing public interest causes with broad citizen participation. Over the course of ACCESS, 150 best practice events will feature Georgian and/or international experts discussing the application of successful CSO strategies in the Georgian context. BPIEs aim to: (a) help generate new ideas for CSO strategies, tactics, and activities; (b) promote networking among regional CSOs, between national and regional CSOs, and between CSOs and other groups, such as the private sector, academia, donor community, etc. 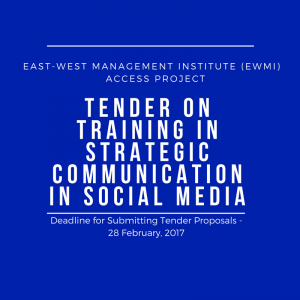 ; and (c) promote strategies for overcoming systemic challenges in the CSO sector. BPIEs are organized around a single issue or technology and target, according to the topic, CSOs, community leaders, local journalists, youth, local government officials, the private sector, and the public at large. Examples of topics could include: presentation of web-based technologies for holding the government accountable; presentation of videos and follow-up discussions on key national and local issues or successful civic initiatives worldwide; discussion on CSO challenges and development in Georgia and the rest of the world; workshops and roundtables on collaboration between businesses and CSOs; discussions on the Georgian government’s commitments to support civil society development in Georgia (Open Government Partnership action plans) and others. BPIEs inspire new ideas and encourage CSOs to think creatively about their work in the long run. Over the course of ACCESS, 150 best practice events will be held mainly in regions of Georgia, featuring Georgian and/or international experts. ACCESS applies technology and innovation to connect citizens and CSOs. ACCESS supports CSO efforts to use web-based platforms to recruit volunteers, conduct public surveys to document public concerns, engage and mobilize constituents, and enable communications between citizens and government, and business sector. ACCESS will assist in improving the existing volunteering network website www.volunteering.ge into a widely used platform to recruit volunteers for CSOs. Strategies and specific initiatives of women’s rights organizations to promote the gender equality agenda across Georgia.